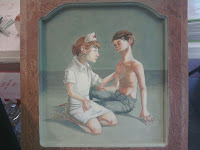 The Psycho Buzz: Donuts and Nurses and Art, Oh My! Donuts and Nurses and Art, Oh My! Join us on Saturday, May 15 for Donuts and Nurses and Art, Oh My! 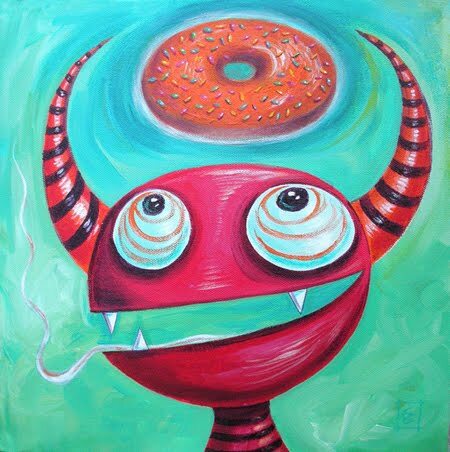 This unusual art event is the launching pad for a summer of themed artwork at Psycho Donuts - focused on what we love most- DONUTS and NURSES! 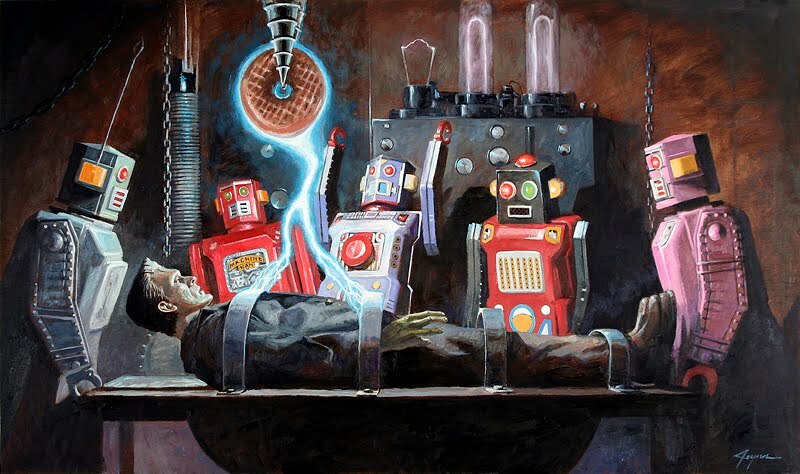 Psycho artists are working around the clock - in preparation for this themed art event! Check out original affordable artwork by local artists - like Christine Benjamin, Lacey Bryant, Michael Foley, Sheri DeBow, Eric Joyner, Simon Salas, Murphy Adams, Nic Caesar, Michael Borja, John Hageman, Michelle Waters and more. Artist Trina Merry will entertain audiences with her live body painting and artists Christine Benjamin and Ivy Atoms will be on sight painting some cool creatures on canvas! Follow us on Facebook and Twitter to learn about some fun stuff we'll have going on that day. As always, we'll have our insane collection of donuts, including Crazy Face, Headbanger, and S'mores (rated one of the Top 10 in the US by Maxim Magazine). Resistance is futile. 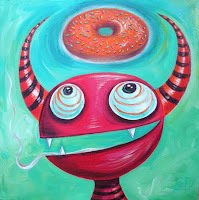 Come for a crazy donut and a jolting cup of Tony's Coffee - and stay for the demented art show! We're Going Off the Rails on a Crazy Plane! Pimp Your Donut with Flavor Therapy, and more! The PsychEaster Grand Finale & April Fools!